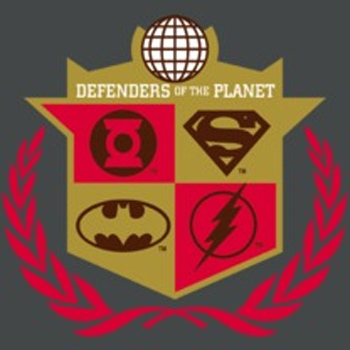 Bring together four of the main DC comic book characters when you wear this Justice League defenders t-shirt. 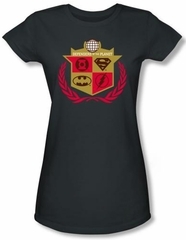 This licensed t-shirt for men is a unique t-shirt featuring the symbols of Batman, Superman, the Green Lantern, and Flash. Made of 100% cotton this t-shirt is comfortable. Juniors Superheroes T-shirt.